INDIA, one of the World’s most diverse nation, 17 Written languages, birthplace of 4 Religions, 1.2 billion people, with an ancient Culture and long Culinary traditions. Indian Cuisine seems to be surrounded by an aura of mystery and myths, but the truth, was and still is, a regional and seasonal Cuisine that has Spices woven into it’s very DNA. Spices, you can say are the backbone of Indian Cuisine but they are also considered the elixir of health . Using traditional cooking methods, whether in a tandoor clay oven or the tempering of onion & fennel seeds which enhances the flavour of tomatoes in basic masalas as well as the use of indigenous spices and ingredients such as the earthy but almost scented vetiver roots from Rajasthan or the mushroomy flavour of Kalpasi. But no matter which part of India you are in, Spices of many varieties come into play. Before the cooking starts, there is the grinding and toasting of these spices and this is done daily, in house by the Chefs at Rasam, in order for us to experience this fantastic, complex and generous cuisine and thru an exciting and diverse menu, allows us to experience Indian food, the way it was intended,in a communal way, to be shared among the guest. We started with a first course of Palak Patta, crispy Spinach leaves topped with honeyed yoghurt and fresh mint chutney. A deliciously light dish whose simplicity belies it’s full flavour. 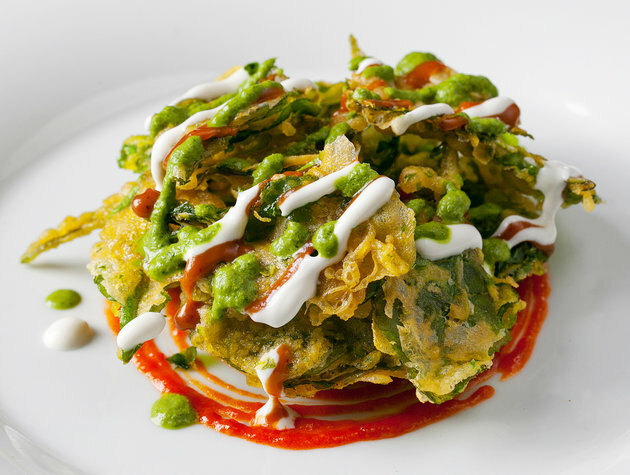 Each spinach leaf was encased in a light, lacy & crisp batter and served layered with the added cooling properties of fresh mint raita and yoghurt . Next were Tawa Prawns, stir fried tiger prawns with mustard seeds,curry leaves,chilli powde,fenugreek,ginger and garlic . The prawns were succulent yet indulgent with the generous use of eye watering mustard seeds.Spicy but as a starter, it fulfilled it’s purpose in whetting the appetite and awakening the taste buds. Our third course of Murgh ki Chaamp, were a trio of Chicken bites and this was not as spicy as it looks, but was rather well rounded and mild. 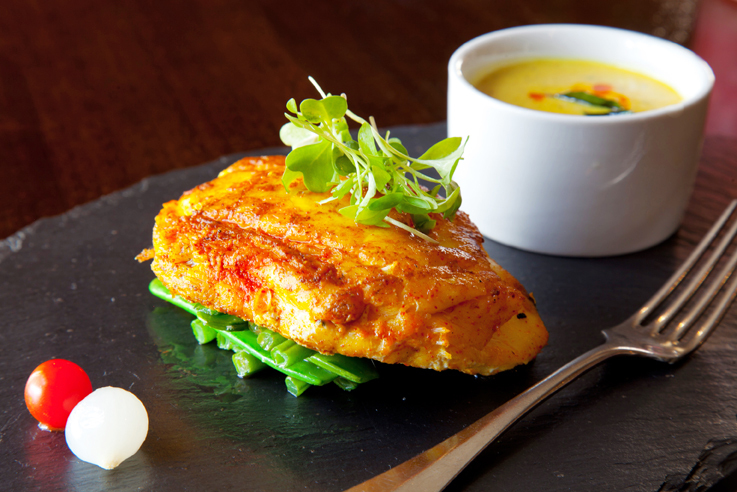 The wonderful depth of flavours and creaminess simply relied on the relevant marinades used. We had a selection of tender pieces of chicken in a cream cheese & lemon zest. Red chilli, garlic & yoghurt , but my favourite was a chicken thigh still on the bone in a Mustard paste, yellow chilli powder, mace & Indian long pepper. Simply delicious. Our fourth Course of Mappas Fish, was fresh hake,fresh turmeric,coconut milk and fresh tamarind.This was delicate in colour, flavour and was absolutely divine. The Hake fell apart at the touch of ones fork,the turmeric paste and tamarind added background flavours but did not overpower.A clear winner and I am still dreaming about this dish . Our Fifth course of Lal Maas, a full bodied slow cooked lamb dish, Lal Maas is tomato based, with red chillies,garlic,ginger,coriander seeds & Rasam own blended garam masala. 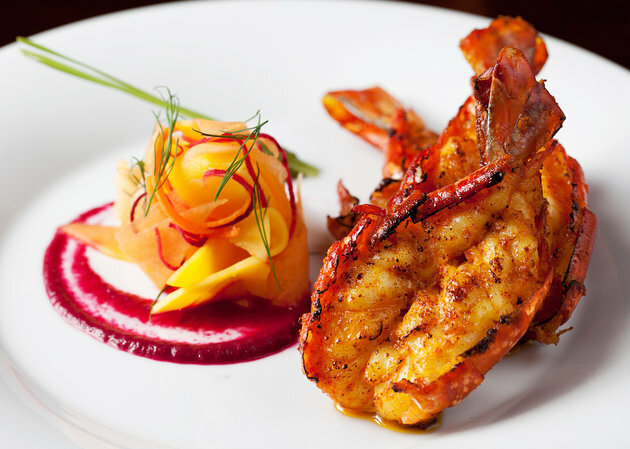 A robust dish, bold, full of flavours and unapologetic and would leave even the most stiff – nosed drooling . As Prateek , Rasam ‘s restaurant manager, charmingly points out , ” You ‘d put the lamb or kid goat , on to cook , go play a game of chess and by the time it was over , the meat would be cooked and the loser would have to pay for it “. This is a traditional way of cooking over charcoal, where the Cooking dish is sealed with a lid of flour dough. Here at Rasam, the lid is made of a flat bread, which in turn, used to scoop up every morsel on your plate, and they were . 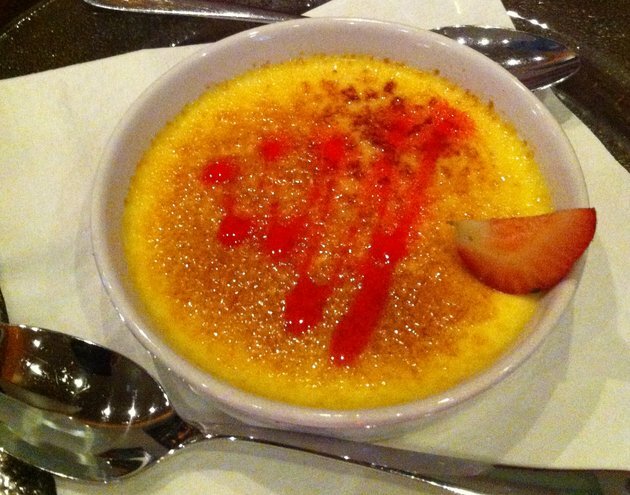 We concluded our meal with a Rose petal Creme brulé & Gathabawn Coconut cream. The Creme brulé with just a hint of rose water, was delicate, silky and just sweet enough . A perfect dessert to end a most delicious meal. 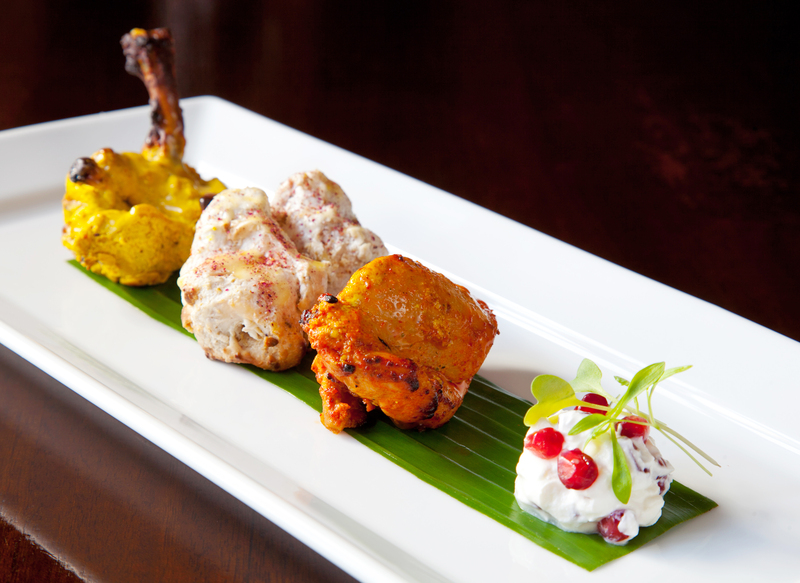 RASAM without doubt offers the best in Indian Cooking,dry roasting,blending and grounding their own spices daily. Their Lamb, Chicken and Fish are Irish and sourced locally and the vegetables also from local Artisan producers. 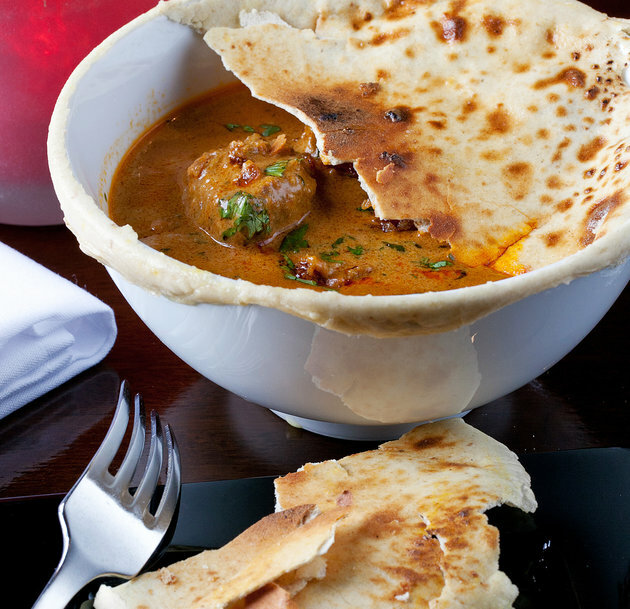 I love the traditional methods used here and tasting Indian cuisine the way it was intended . 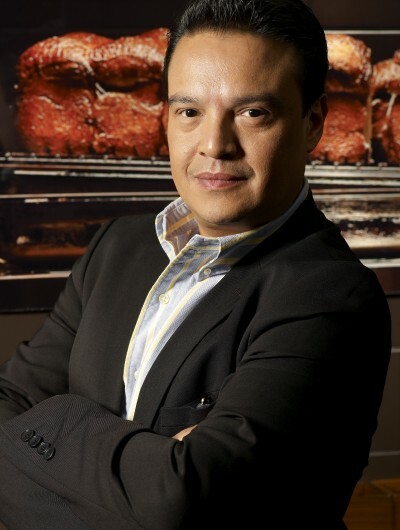 A Classically trained Chef,Food writer, and Culinary instructor having worked in some of Dublin and London Michelin star establishments such as Chapter One, Dublin, Gordon Ramsay, London & the 5* Boutique hotel, TheDylan among others. His work is regularly featured in some of the leading magazines and newspapers in Ireland and he is currently working on a book about Irish Honey due to be published later in 2015.